This laser therapy provides deep tissue collagen stimulation and tightening created by applying concentrated heat into the dermal layer of the skin with no downtime. 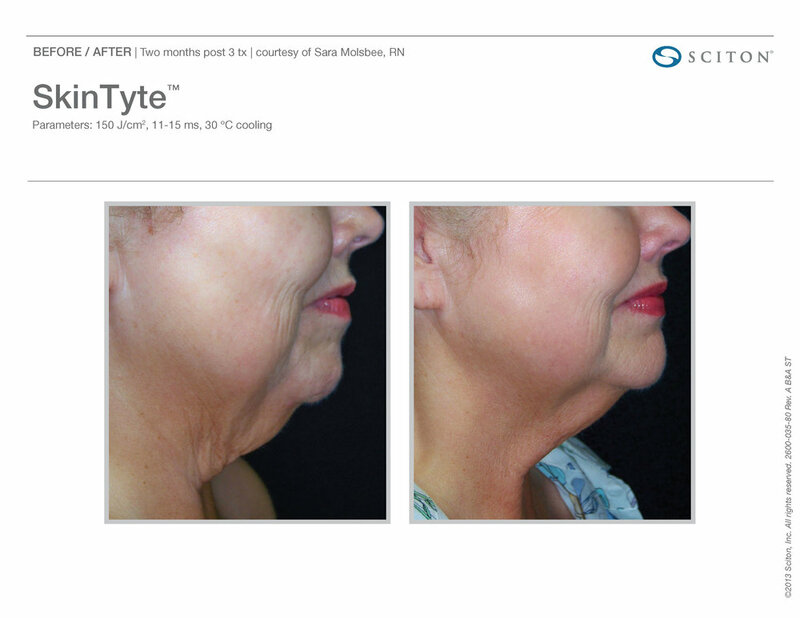 Skin tightening on the face, jawline, and neck is now easier than ever with the SkinTyte Laser. Utilizing a safe infrared light to heat the skin below the surface while protecting the surface of the skin with a unique cooling handpiece. This device is getting rave reviews from our customers. Who Can Safely Get This Skin Tightening Treatment? 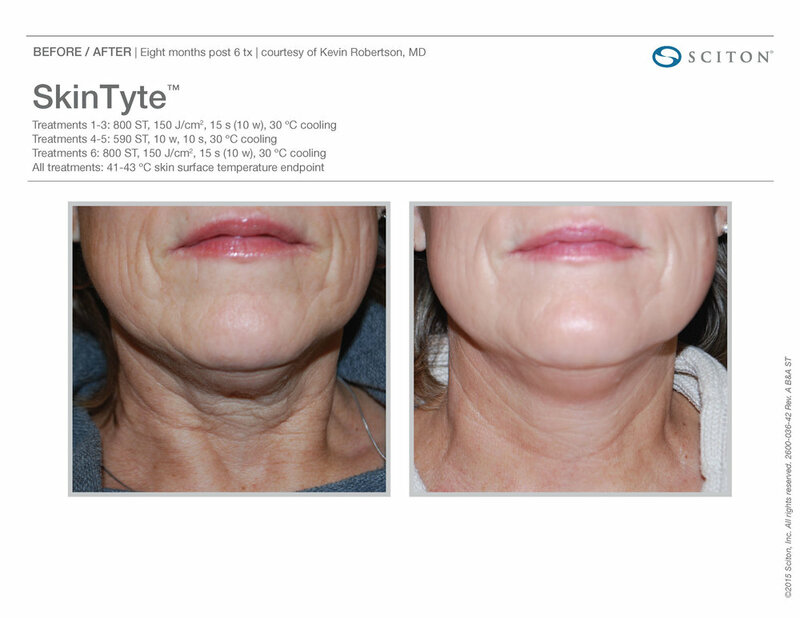 SkinTyte skin tightening is an effective, minimally invasive option for men and women of all skin types and skin tones. Laser skin tightening has none of the expense, risk, and downtime associated with surgical cosmetic facial procedures. 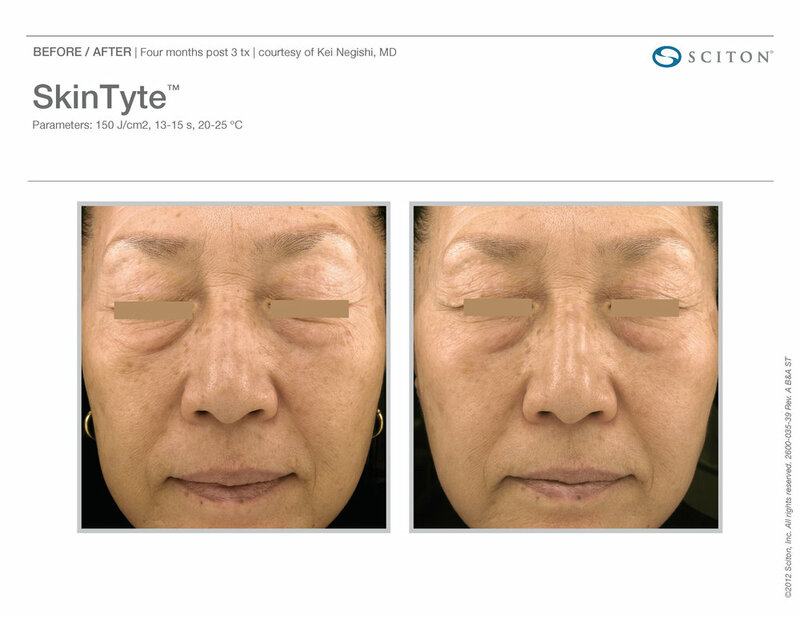 During your free consultation, we’ll be able to tell you if a SkinTyte laser treatment is right for you. Laser skin tightening is a virtually pain-free procedure that produces lasting results with no downtime. The feeling of a treatment is brief heating sensation. After the procedure, you may experience some mild redness and swelling in the treated area, but it will quickly dissipate within a few hours.